According to report, Apple-owned Beats has announced Powerbeats Pro headphones. Powerbeats are surely making the heads turn. For those who are not aware, Powerbeats wireless earbuds are most popular finess headphones in world. When we talk about this new Pro model, it sheds the cable that links the left and right buds together. They retain the look and identity of Powerbeats, but beats didn’t just ship the wire. Pro headphones are 23% smaller and 17% lighter than the regular Powerbeats neckbuds. Let’s take have a look Powerbeats Pro over-ear headphones. Powerbeats Pro headphones Vs AirPods: What is good about the Powerbeats Pro? Battery life: The major feature of Powerbeats Pro headphone is its battery. You can listen continuously about nine hours. It is an exceptional achievement for true wireless earbuds. The charging case holds enough extra juice to get you around 24 hours of total listening time. 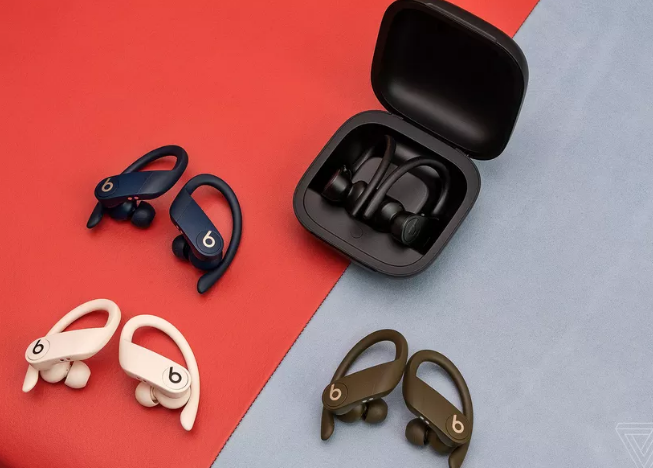 Apple H1 Chip: Beats says that Powerbeats Pro headphone is just like second-gen Airpods, it includes Apple’s H1 chip for hands=free “Hey Siri” voice commands and quicker switching between your Apple derives. Fitness: It is made for comfortable and secure fit. 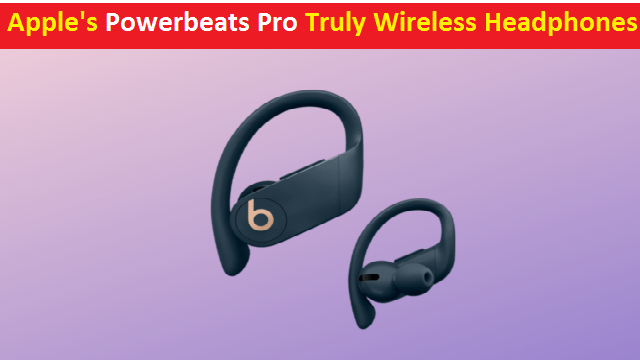 Powerbeats Pro over-ear headphones are ergonomically angled acoustic housing that nests comfortably in the concha bowl of the ear with off-axis nozzle. Four sets of ear tips should hopefully mean you will find the perfect seal or something close to it. Automatic Pause and Resume: Apple’s Powerbeats Pro truly wireless headphones are just likes AirPods. It will pauses your music when you remove one or both earbuds and then start automatically playing once they are back in. According to report, Apple AirPods with wireless charging case is available with the price of $199 and AirPods with regular case comes with the costs of $159. Now comes Powerbeats Pro headphones, It is shiping with hefty tag of $249.95. We are researching on the matter very deeply and we will defiantly post an update, if it will come in future. For any suggestions or queries, please write on comment box given below.